This article is one of the most popular on this web site. It shows a simple method to disprove a common myth: Some people "can't sing". The method in a nutshell: Try a simple familiar song with the key in the singer's vocal comfort zone. A helper is needed to determine what key, and to sing together in that key while chording an instrument lightly. This method came about in the 1960s in helping students, and I've used it ever since -- always able to get someone singing in tune within a few minutes. Yes, it has always worked! To start a person singing, we often need to disregard the ignorant diagnosis someone has foisted on them, that they "can't sing", as though it's some sort of uncorrectable physical disability. Once they get their first breakthrough, the myth is deflated, but to improve the skill it’s still up to them to continue the method on their own, selecting appropriate keys for songs they sing. Just a word about anyone who says: "You can't sing," or "You're tone deaf," or "You have a tin ear": These people are not to be trusted. It's accurate and far nicer to say, “You're not carrying the tune." But they have literally millions of folks convinced they will never experience the joy of singing -- and many of these people are music teachers! Quite a few folks have come to my camps in their 50s or 60s, where they sing in tune for the first time. We finish the typical 3-4 minute session with them recording themselves singing a song, to play for the person who told them they couldn't / shouldn't sing. I hope this method travels far and wide, so that someday no one would ever say, "You can't sing", or "You're tone deaf." The keys typically chosen when they've sung are not in a comfortable part of their vocal range. They take a wild swing at singing a few notes, they don't connect (and they know it), and then they lose their nerve and pretty much quit. A few experiences like that in front of other people usually get enough negative response so that the person assumes they somehow "can't" sing in pitch, and they should stop trying. So they do, and I see that as a small tragedy. What makes a huge difference is to offer the song in a key they can sing in. For guys, they'd be most comfortable in a register something like their speaking voice. For songs that many male bluegrass singers might do in G or A, often a better key for the "non-singer" is half an octave lower, like C or D.
The choosing of the key is important, because if the first few notes are right, the rest of the tune has a much better chance to stay right. With a chording instrument playing along, at a slow tempo, and someone else singing in the person's optimum key, the "can't sing" person connects almost 100% of the time. Sometimes it helps for the instructor to sing and play a little and have the learner listen before coming in. It's possible that after an initial clumsy start, the learner will catch on with the help of the teacher. The teacher needs to be patient and gently encouraging and persistent. Make sure you have the time, if necessary, to make this initial attempt successful. The learner has had enough failure! This approach works well in finding a good key, but I've found it easier to just move the key a half-octave or so from the typical key that a person of that gender would sing the song in, and that tends to work, without having to go through the above sequence. Once you know the optimum key, start chording in that key, and when you start singing, the other person will generally join in correctly. Once they do, just say, without making a huge production of it, "You're in tune now. Keep going," and keep singing with them, and then let them keep going without you, giving quiet encouragement now and again, or joining in again if they waver. After a while, you can raise the bar. Say you're singing Will the Circle Be Unbroken. That's commonly done in G. Typically, out-of-tune male singers would do better with D. So start them in D and once they connect, sing it a while in D, and then stop and raise the key to E, while chording and singing. They will go a little higher, and not find it difficult. Congratulate them again. See if they can make the key jump just by listening to the chords, as you raise the key up to F. Generally, they'll follow fine, though they may be having trouble with the highest note (C on "waiting"), but they will probably go for it and get close, if you're there encouraging them and singing along a little. A lot head nodding and smiling in a low key way helps the process feel good and comfortable for the learner. Finally, you can raise the key to G. Now they're at the upper edge of their vocal range, but you've led them to the commonly used key, by first bringing the key to them, getting them "in", and then leading them slowly higher. If you throw the difficult key at them first, they tend to fail and then give up. Instead, you lower the bar till they can clear it, and then raise it slowly while keeping the success rate high. Once they're singing in G, another congratulations, and have them keep singing. You might be able to switch right into another easy song in G, without losing them. More congratulations: They can do it on more than one song. At this point, all that's needed is for them to build confidence, by doing it more. In other words, as you sing "circle" or "broken", all the notes are actually part of the G chord. A few notes stray out of the chord (like "Lord" on the C chord). But almost every one of the main melody notes is duplicated in the notes of the chords that fit. You'll hear them right on the guitar or banjo as part of the chord. This helps people pick up the concept that there's a connection between melody and the correct chords. They realize that a chording instrument will help them sing better. Among the benefits is that the player will start hearing how the correct chord sounds better with each part of the melody, and can start trusting their ears to hear the difference between "works" and "doesn't work". This awareness is a big part of the increasing confidence. At that point, it's great to get a recorder out (every student should have a ready-to-go one in his case) and recap the learning process, starting with the initial finding of a good key. The person should hear their own voice on the recording, doing that first song correctly, so make sure the recorder is close enough to pick it up. Go through the slow raising of the key, finish in G, and then switch to another song. Get it all recorded. Now that you know you can sing in tune, you can get a lot better at finding notes more easily and quickly, simply by practicing singing, with a chording instrument, and no distractions of listeners, except possibly a gentle guide. 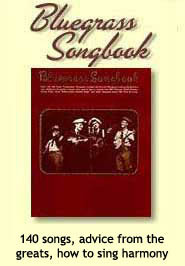 Find a songbook with songs you know in it, and chords easy enough to play while you sing. You may need to transpose the keys to a half octave lower. [Transposing is another lesson, which some people pick up quickly and some don't.] Every so often, it would make sense to have a knowledgeable musician listen to you and affirm that you're still doing it right, and if you're not, help you make corrections.